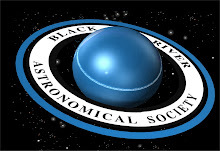 Bodzash Photography and Astronomy: Is NASA on the Verge of Another Golden Age? In the face of extensive budget cuts that have forced the cancellation of the most ambitious interplanetary science probes, NASA scientists have found a new mission for the agency's Curiosity rover, which landed on Mars last week: prove to the American public that planetary science is worth funding at all. So far, NASA has scored a slam-dunk with its Curiosity Mars rover mission, and the timing couldn't be better. For NASA, there is a lot riding on Curiosity, far more than the mission itself. For starters, Curiosity is set to be the last flagship mission for the foreseeable future as these most ambitious missions, commonly costing over $1 billion, have been eliminated from NASA's future plans thanks to extensive budget cuts. For the record, Curiosity cost about $2 billion. However, there is hope within NASA that a successful mission may spur the public to be more interested in planetary science. The hope: greater public support in planetary exploration will spur Congress to allocate more funding for NASA, which is to see its planetary science budget drastically cut for the 2013 fiscal year. So far, things are looking good. Not since America's return to Mars with the mini Sojourner rover on July 4, 1997 has there been this much excitement about a NASA mission. Like it or not, the public is fickle. In 1961, President Kennedy announced that, by the end of the decade, Americans would go to and return from the Moon. In July, 1969, the goal was achieved. By 1972, the Apollo program was over, seen as a waste of money since the Space Race had been won, America's prestige lifted (sorry), and science was not perceived as a worthy goal in and of itself. Now, over 40 years later, Americans no longer have a way to go to the Moon let alone colonize space (or, for that matter, even get into space without hitching a ride with, of all people, the Russians). In the mid 1970s, NASA launched its Viking missions to Mars as the first robots to touch down on the Red Planet. The main goal: see if Mars was home to and/or is hospitable to life. In terms of the mission, Viking was a smashing success. Unfortunately, the stationary landers found no signs of life and, as a result, NASA would wait nearly two decades for another Mars mission. People are fickle, especially when it comes to things that cost money. With Sojourner in 1997, the public was, once again, excited by planetary science. At the time, the whole rover concept was a new idea that captivated the public's imagination. 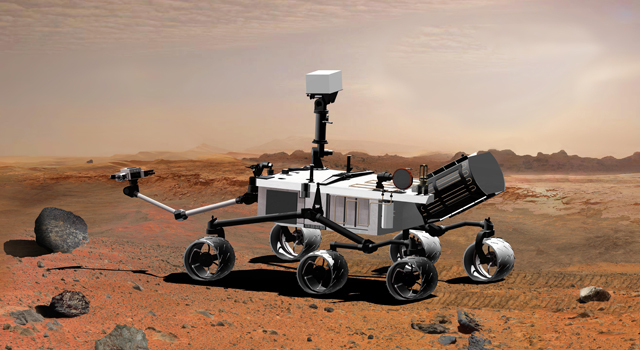 Think of it: a RC car-sized, mobile science lab rolling around Mars. If the rover itself weren't enough of a novelty, the method of its landing, namely bouncing in airbags after being dropped from a parachute, was a curiosity in itself. Result: a brief flourish of high-profile, high profile planetary missions, including the Twin Mars rovers, Cassini-Huygens, and New Horizons (still on its way to Pluto). Unfortunately, come the economic meltdown of 2009 and the non-existent recovery continuing into 2012, the government has had to make cuts to its budget, NASA included. Of its three main spending areas: human spaceflight, planetary science, and maintaining current missions, planetary science found itself on the chopping block. Result: pared-down missions and outright cancellations. When NASA's 2013 budget was announced earlier this year, many space science enthusiasts were left wondering whether planetary science was dead. Well, hopefully, the Curiosity mission will breath new excitement into the idea of exploring other worlds in our solar system. So far, Curiosity has succeeded, firmly entering the realm of pop culture, even spawning a music video and making celebrities out of a few members of the rover team. Now, while pop culture is all and good for PR purposes, hopefully, Curiosity's mission and cool science instruments (and, hopefully, exciting discoveries) will go a long way in helping persuade the public, and the government, that NASA is worth funding. With a successful mission and a little luck, a new golden age of planetary exploration could be on the way as, after all, there are a lot of interesting places we could go!